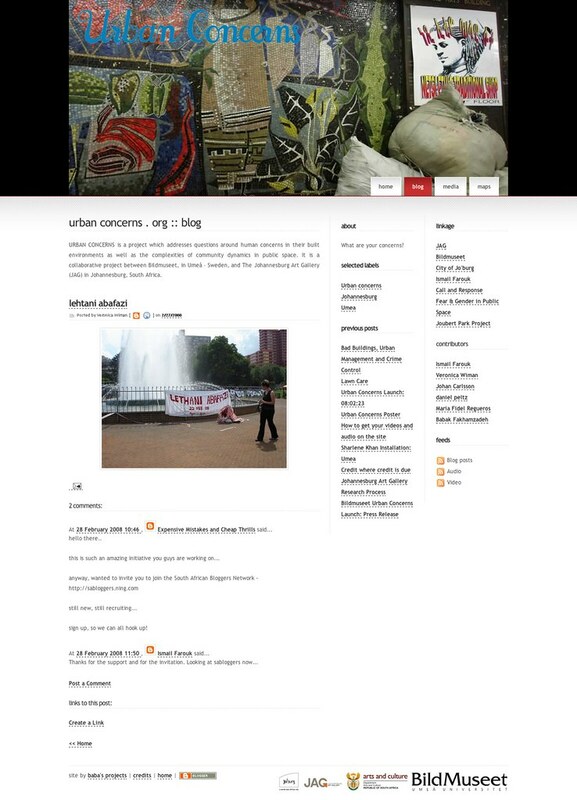 Urban concerns connects citizens in Umea (Sweden) and Johannesburg (South Africa), as well as the two collaborating art museums, Bildmuseet and Johannesburg Art Gallery. Together with practitioners and institutions, the Urban concerns research process suggests new avenues for experimentation through mapping of multiple and simultaneous public spaces. 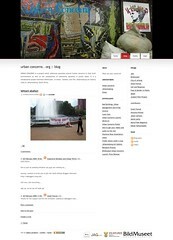 The site is basically an extensive mashup, using Flickr, Ipernity, Google Video, YouTube, Google Maps, Blogger, Google News, Wikipedia and GeoURL as its sources.